"You Get Out Of Jail... We Do The Bail." 24/7 Nashville Bonding Company is here to assist you or your loved one with weapons violation bail or handgun offense bail. Tennessee has strict gun laws that prohibit the use and carrying of a handgun. Our skilled team of bail agents understands the predicaments people encounter, and we are well educated in the bail process. Although Tennessee protects your 2nd amendment right to bear arms, there are state and local level laws that dictate who is allowed to carry a handgun. Tennessee’s gun laws are restricted and regulated to determine an individual’s ability to carry a weapon. It is illegal for a person to leave their residence with a weapon “with the intent to go armed.” However, it is not uncommon for unlawful possession charges to be dismissed in court. If you are simply carrying a weapon while under the influence, you could face criminal charges. A Class A misdemeanor may require up to a year in jail and possibly up to $2,500 in fines. This offense is similar to a DUI charge. Let us bail you out! You may already be aware of the seriousness of a weapons charge, and know that you will be under a large amount of stress, but we are here to make sure the process will be as easy as possible for you. 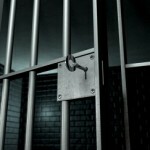 Allow us to help you with any bail service you need. If you need fast bail for weapons violation in Nashville, contact us anytime, day or night. 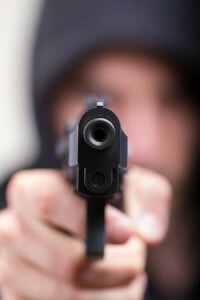 We will assist you in getting out of jail for a handgun offense as quickly as possible.